All Looks are exclusively from ShopBop!!! I have been anxiously waiting to share this special shoot with you guys!!! My absolute favorite thing to do Sunday nights is order in a trunk load of Chinese food, watch the Kardashians, and put on my favorite face mask. 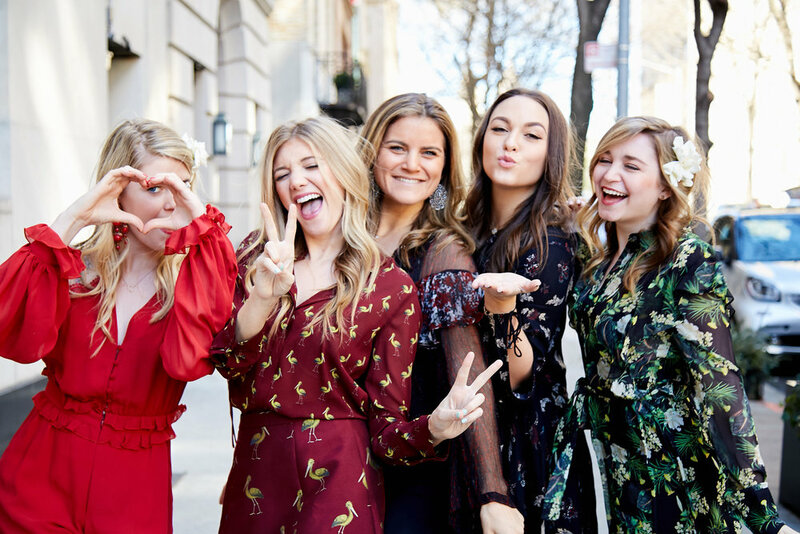 This week I decided to share this Sunday night tradition with some of my girlfriends, but instead of reality TV and pampering we went with our favorite ShopBop looks and a themed table scape! What could be better than celebrating the end to a successful week with your all your babes!? Chinese take out has been a staple “New York thing” for as long as I can remember. In movies and TV shows New Yorkers are always eating out of some sort of takeout container. I like to think it is because New Yorkers are very driven, busy, and ambitious people that we don’t have time to properly cook for ourselves. But hey, I’m definitely not complaining… I live on takeout and couldn’t love it more!!! January 28th marked the first official day of the Chinese New Year. 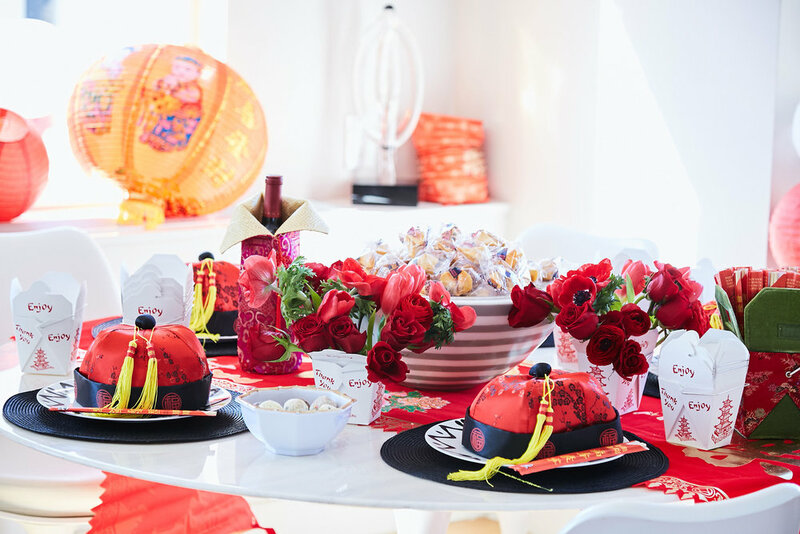 I felt that this year so many of my favorite contemporary brands were extremely inspired by the Chinese New Year in their spring collections. 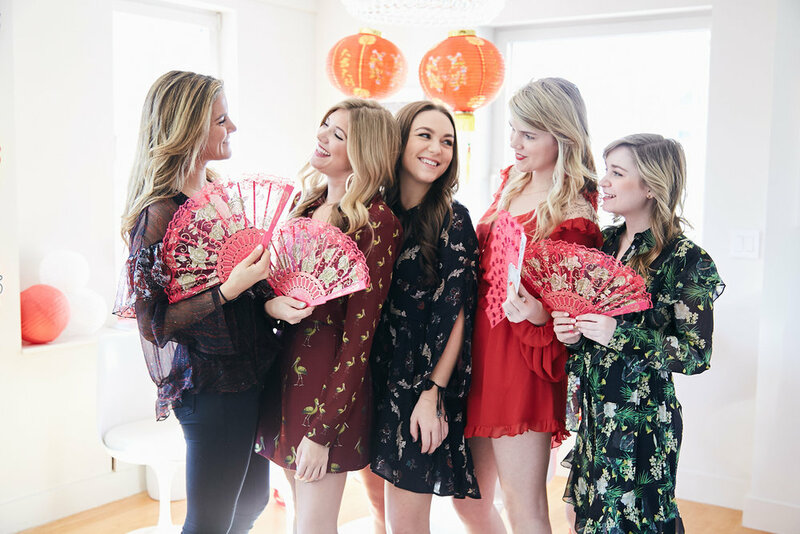 Whether it be deep red fabrics, Chinese symbols, bird prints, or flowers I found that the contemporary brands really took muse from the ancient Chinese traditions in their newest lines. 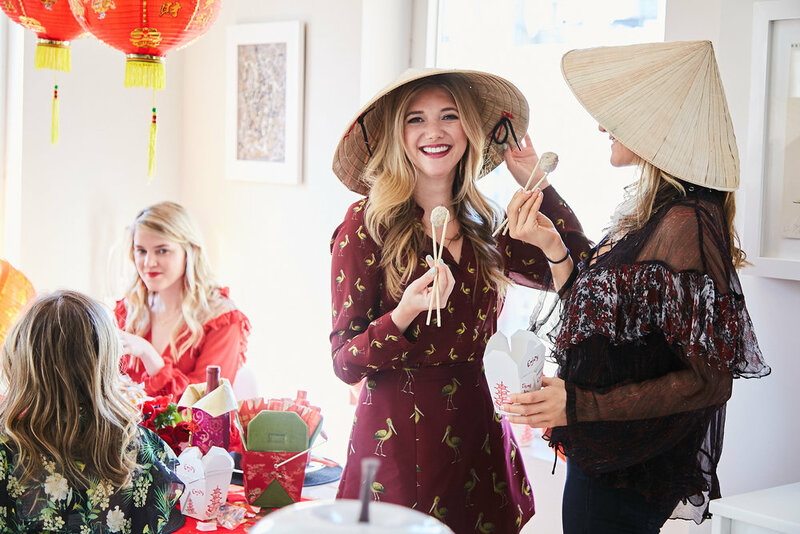 The higher end designers didn’t hold back either with their incredibly “chic and crow-worthy key chains, kicks, and kerchiefs.” I didn’t want to let this Asian inspired creativeness go without touching on it on the blog! 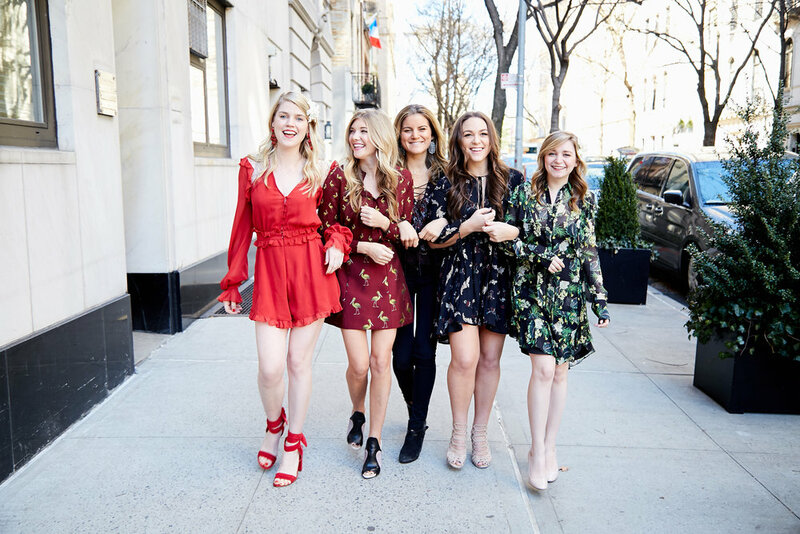 I was tremendously excited to team up with my all time favorite online retailer, ShopBop for this shoot! I went through the Shopbop’s site to find my favorite looks to style the girls in. There were so many to choose from, I seriously didn’t know where to begin. Once I finally pinned down the looks, it was time to start the décor. I called upon Christy, of Crowns by Christy to bring in the flowers OF COURSE!!! Christy arranged a mix of red blooms into little Chinese takeout boxes… I mean does it get any cuter than that?! Then to top it all off she made all the party girls Gardenia hair pins. Gardenia’s are by far my most loved flower, so I was beyond ecstatic when she opened up boxes of them!